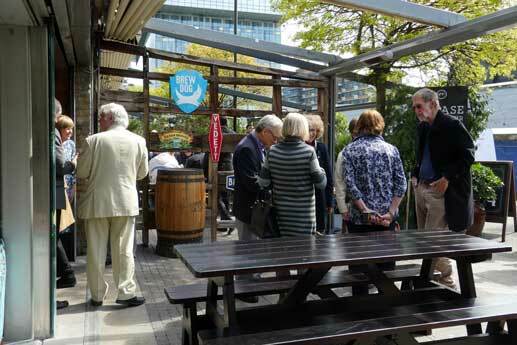 The sunshine made virtually its first appearance of the year, just in time for guests arriving at our Spring Lunch last week to enjoy mingling in the glorious outdoor area of Ev Restaurant. The Anatolian cuisine and wine (“ev” is Turkish for home, as most readers will doubtless know) was as terrific as ever and the company, of course, was unsurpassed. Photos of the event are now available in the Gallery area of our website: http://www.research-network.org.uk/gallery/spring-lunch/ and a full report on the event will be published in the next Newsletter.